Tattoo pigment is released and recaptured by skin cells. Your skin cells are constantly regenerating, so how is it that a tattoo can last for decades? Fascinating new research from France sheds new light on how this works: Your skin cells soak up the pigment, then release it when they die for other cells to pick up. This cycle continues ad infinitum—the circle of tattooed life. In the research, published this week in the Journal of Experimental Medicine, scientists tattooed the tails of mice. Immune cells called macrophages in the mice’s skin picked up the pigment. But when scientists killed off those cells, the tattoo still looked exactly the same. 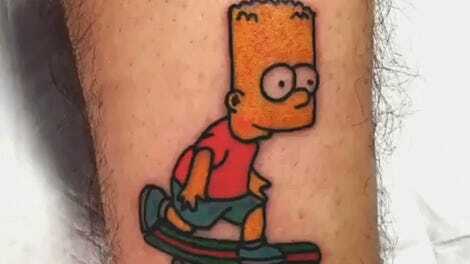 That’s because deep down in the skin’s dermal layer, those dead cells had released the tattoo ink. And when they did, neighboring cells picked it up. In another experiment, researchers transferred a piece of tattooed skin from one mouse to another mouse and discovered that after six weeks, the new mouse’s cells were carrying the pigment as well. The work suggested this is a continuing cycle. A tattooed mouse tail from the study. Prior research has investigated why macrophages pick up the ink in the first place. It turns out, it’s an immune reaction. 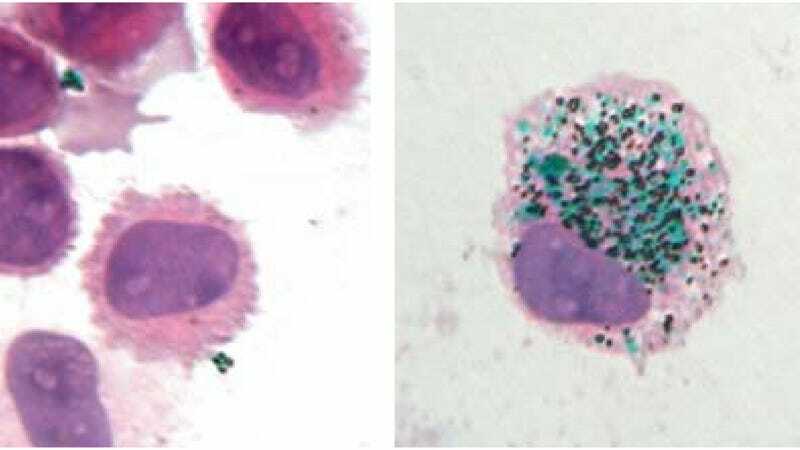 Macrophages are attracted to the wound inflicted by the tattoo needle, and eat up the tattoo pigment in the same way they would any invading pathogen. This new research provides more insight into how that process works. But while this new work help explains why tattoos last a lifetime, it also may offer hope for those who wish their ink wouldn’t. When tattoos are removed by lasers, pulses cause skin cells to die and release their pigment. The new research suggests ways to improve that process by making sure new cells don’t pick up pigment when the laser kills off cells. Science may one day have an answer to that unfortunate tribal tattoo that you got on your 18th birthday after all.